Never leave the tavern without a good guide. 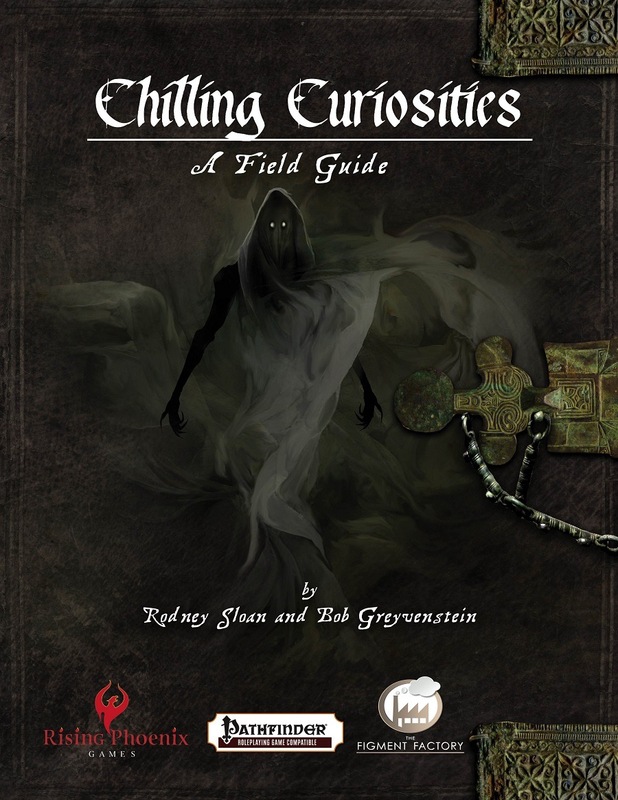 Chilling Curiosities—A Field Guide, brings you 7 novel, low CR creatures to challenge your players. Brought to life with beautiful illustrations, each unique creature is detailed in full, along with complete stats for the game. Also inside is the creature chronicler ranger archetype and 2 new magical items, just the thing to give players an edge over the new horrors you'll find within. 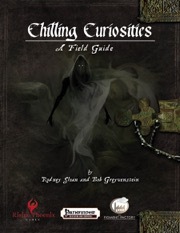 This book features the ocular jar, the corpse fly swarm, the dream stalker and a host of other chilling curiosities. Seems like a lot for a PDF with only 7 critters in it. No indication of the number of pages either. Selling this is going to need a much better teaser than given thus far. I.e. IF it's 30 pages including a bestiary detail & 3 encounter scenarios for each critter Price is becoming more reasonable. If it's just a half page "monster manual" entry for each with a total of 5 pages it's a blatant rip off. However nothing here tells the buyer which end of the spectrum this is.